On November 21, 1969 sixteen local real estate brokers* held an organizational meeting to propose the creation of a multiple listing service focused on the needs of brokers and agents. The original name of this new MLS was to be Metro Magic MLS. Marketing ideas showed a genie riding on a flying carpet. The name was later shortened to Metro MLS, and the new logo featured a lightning bolt (“sell your home as fast as lightening”). Three years later (1972) Metro MLS had 48 member firms, and today REIN supports 598 broker member firms and over 7,500 licensees. Metro MLS was one of only a handful of broker-owned MLS organizations in the country, and still is today. In 1993 the Portsmouth/Chesapeake Association of Realtors MLS merged with Metro MLS, and a few years later in 1997, it was the merger between the Virginia Peninsula Association of Realtors MLS and Metro MLS that prompted the name change to Real Estate Information Network, Inc. (REIN). The mission of an MLS is to facilitate cooperation and compensation between real estate professionals. This led to the creation of a central “database” of properties that brokers and agents utilize to assist their clients with the sale and/or purchase of real estate. In the early days, this database was shared in the form of listing cards. A listing broker would fill out a 1-page listing form, which they would then mail to Metro MLS (yes, that’s right, they were mailed to the MLS). Once the MLS received the listing form, a photographer would be dispatched to take a picture of the home, and staff would begin processing the listing, which included a team of typists and secretaries typing the information onto index cards, adding the photo on the back (in itself a complicated process), and printing enough copies for each broker office. When done, all cards were sorted into categories for new listings, price changes, and status changes. Once a week these cards were hand delivered by Metro staff to each broker office around the region. As the years progressed, these listing cards evolved into listing books, and by 1986 Metro MLS staff were processing close to 30,000 listings each year. Needless to say, this was a very time consuming and manual process replicated week after week, and unfortunately information received early in the process could be outdated before updates were distributed at the end of the week! The introduction of computers in the MLS industry not only simplified the accumulation and dissemination of listing information, it also made it amazingly FASTER! Today we have access to new listings and updates within minutes of them happening! 2001 – MLS Listing Books discontinued! 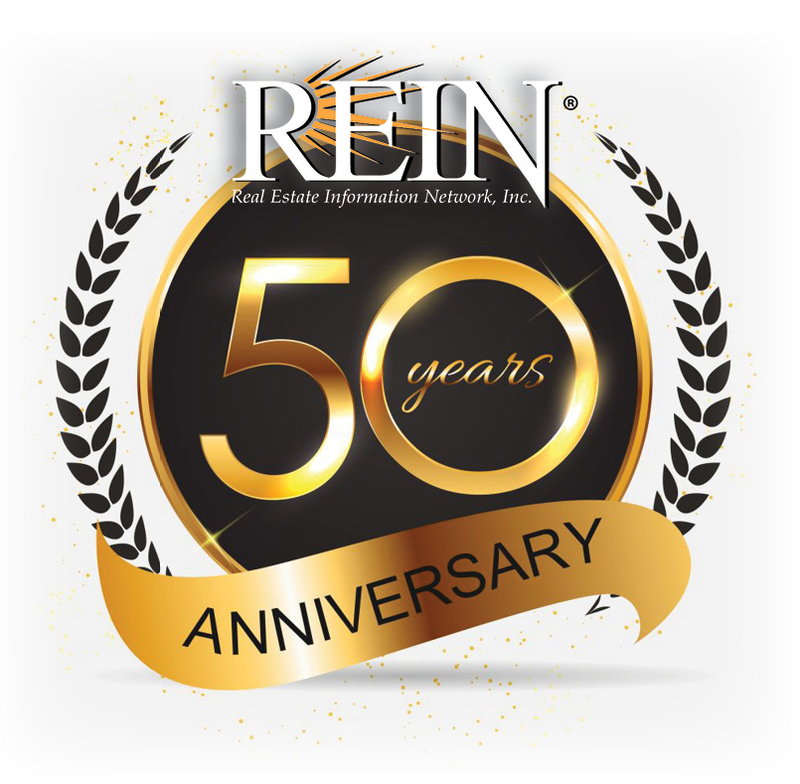 Today, REIN continues to provide members with the tools needed to successfully facilitate the buying and selling of real estate. REIN is more than just a “database” of properties, we also offer contracts and forms, transaction management, market statistics, hands-on training, and much more! But through it all, from the beginning through today, while the real estate industry has evolved dramatically technologically, it remains a business for and about people and relationships at its core. Do you have a memory about Metro MLS? Call us to share it and we will use it in a future communication! It has been our honor to serve members for the past 50 years, and we look forward to continuing this tradition for many years to come! *The 16 original member firms to join/create Metro MLS include: Commonwealth Realty Corp., Duncan & Gifford Realtors, Glover Realty, Goodman-Segar-Hogan Residential Sales Corp., Hembree Realty Company, Henry-Hanson-Tucker Realty Corp., Herrick Realty Company, Home Realty Company, Larasan Realty Corp., John Maxey Realty, McDaniel Realty Company, Myers-Preston-Hill Realty Company, Virginia Realty Company, Joseph L. Walker Realty Corp., Womble Realty, and Woodard Realty Company.